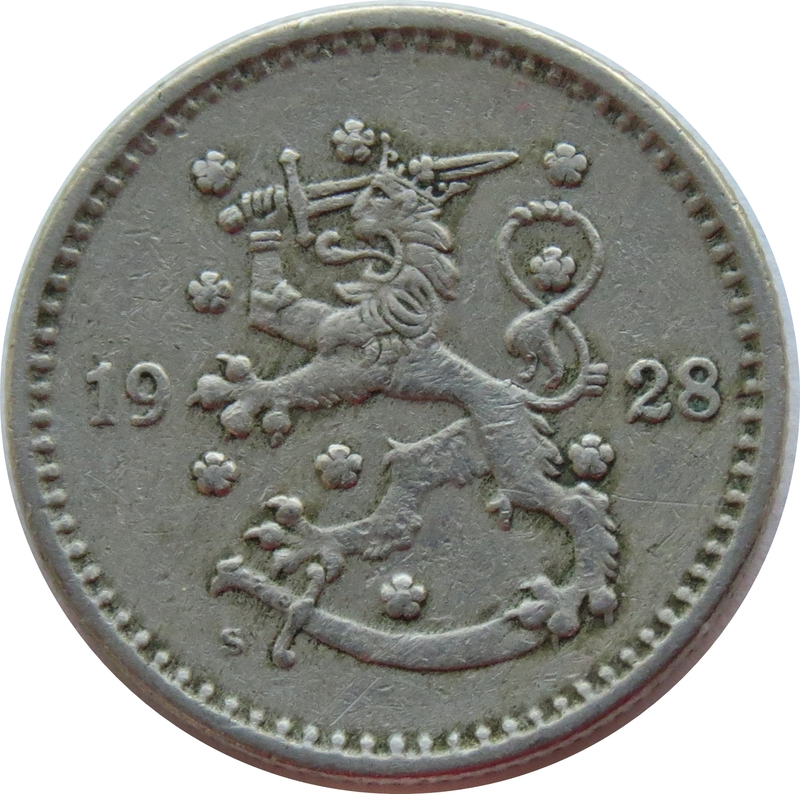 Coat of arms of Finland - a rampant lion left with the right foreleg replaced with an armoured hand brandishing a sword, trampling on a sabre with the hindpaws. 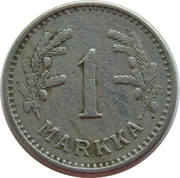 Date divided by coat of arms. 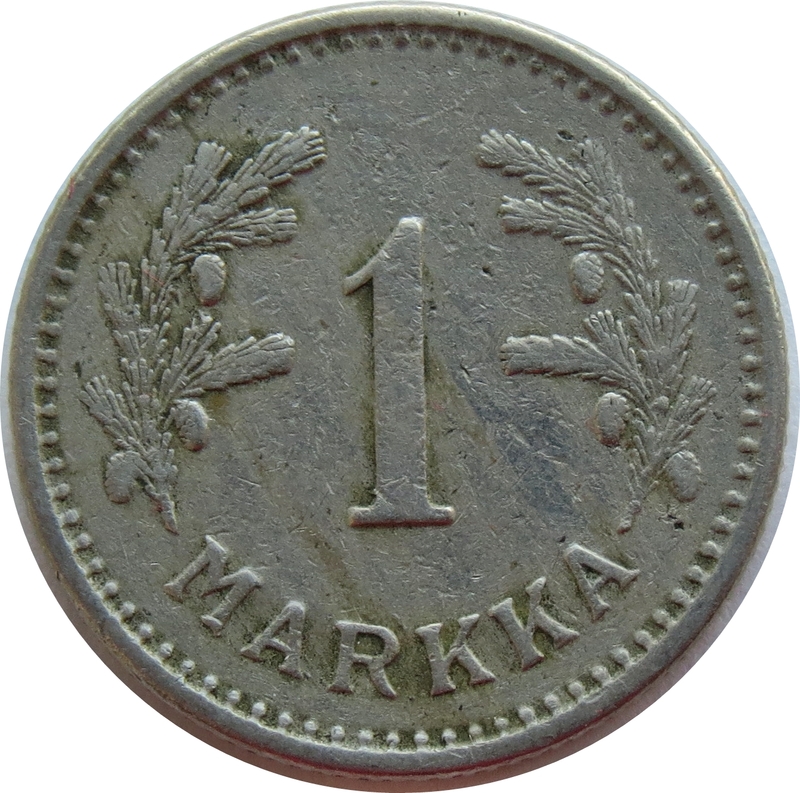 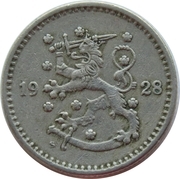 Coins dated 1928S, 1929S and 1930S are known to be restruck on 1921-1924, KM#27 coins; 1928S: 2 or 3 known.